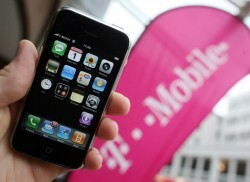 German T-Mobile emphasizes that the Austria subsidiary will not be sold. T-Mobile Austria has been stagnating for years. Due to the difficult Austrian telecommunication sector, the turnover and the earnings have been going down for years. After the takeover of Orange by Hutchison and Telekom Austria, the market structure has changed substantially. Although the number of competitors was down from three to two, T-Mobile Austria is still suffering from the growing competition.